The Olympic Stadium is built for the People’s Olympics, scheduled to be held in Barcelona from July 19 to July 26 as a protest event against the 1936 Summer Berlin Olympics. The games were cancelled due to the war. Heavy streetfighting breaks out between workers militias (principally CNT), the Civil Guard and loyal troops on one side and around 12,000 rebel soldiers on the other. The workers’ militias with the help of the Civil Guard and loyal troops gain back control over the city in a dramatic two-day barricade fight. The rebels are defeated. The anarchists storm the ams depost and barracks and seize some 90,000 rifles. The Anarquist Durruti Column, with around three thousand men led by Buenaventura Durruti are the first volunteer militia to leave Barcelona, heading for the Aragon front. Many companies and public services are collectivised by the CNT and UGT unions. Much of the city is under the effective control of the CNT. George Orwell arrives in Barcelona, where he describes the camaraderie of the revolutionary atmosphere. He asserts that Barcelona appeared to have been “a town where the working class were in the saddle”: a large number of businesses had been collectivised, the Anarchists were “in control”, tipping was prohibited by workers themselves, and servile forms of speech, such as “Señor” or “Don“, were abandoned. He goes on to describe events at the Lenin Barracks (formerly the Cuartel de Lepanto where militiamen were given “what was comically called ‘instruction'” in preparation for fighting at the front. 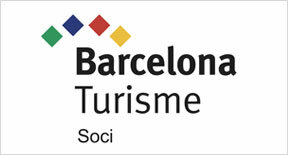 May 1 The parade for the international labour day is prohibited in Barcelona because of the tense atmosphere police and worker organizations. 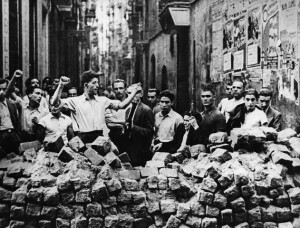 (Els Fets de Maig in Catalan, Los Hechos de Mayo) Stalinists and official government troops take control from CNT and POUM after the street fighting of the Barcelona May Days. General strike in Barcelona. Gunfights throughout the city. The new Negrín government accepts the accusations against the POUM and prohibits their newspaper La Batalla. June 17 Nin is arrested in Barcelona. His arrest is not announced in public; Communist agents take him secretly to an illegal prison in Alcalá de Henares, near Madrid. Nin is interrogated under torture by NKVD agent Alexander Orlov. Soviet agents assassinate Nin on June 21. October 30The Republican government abandons Valencia for Barcelona. 30 January. 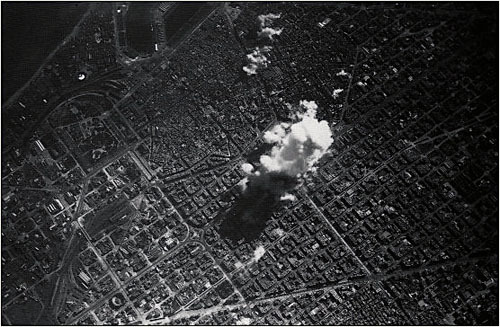 Bombing of Plaça de Sant Felip Neri, the second worst bombing atrocity to hit Barcelona during the war. Franco’s troops are closing in, most civilians hide in their homes, not daring to walk the streets of the city. Proclamation of the Ley de Responsabilidades Políticas (Law on Political Responsibilities). The use of Catalan in public life is suppressed. Certainly there are fewer well-dressed people than in ordinary times, but there are still lots of them especially women, who display their good clothes in the streets and cafes without hesitation or fear, in complete contrast to thoroughly proletarian Barcelona. Because of the bright colors of the better-dressed female element, Madrid has a much less lugubrious aspect than even the Ramblas in Barcelona. Cafes are full, in Madrid as in Barcelona, but here they are filled by a different type of people, journalists. State employees, all sorts of intelligentsia; the working class element is still in a minority. One of the most striking features is the strong militarization of the armed forces. Workers with rifles, but in their ordinary civilian clothes, are quite exceptional here. The streets and cafes are full of militia, all of them dressed in their monos, the new dark blue uniforms; most of them do not wear any party initials on their caps. We are under the sway of the liberal Madrid government, which favors the army system as against the militia system favored by Barcelona and the anarchists. Churches are closed but not burned here. Most of the requisitioned cars are being used by Government institutions, not political parties or trade unions. Here the governmental element is much more in evidence. There does not even exist, in Madrid, a central political committee. Very little expropriation seems to have taken place. Most shops carry on without even control, let alone expropriation. To sum up, Madrid gives, much more than Barcelona, the impression of a town in social revolution. I had come to Spain with some notion of writing newspaper articles, but I had joined the militia almost immediately, because at that time and in that atmosphere it seemed the only conceivable thing to do. The Anarchists were still in virtual control of Catalonia and the revolution was still in full swing. To anyone who had been there since the beginning it probably seemed even in December or January that the revolutionary period was ending; but when one came straight from England the aspect of Barcelona was something startling and overwhelming. It was the first time that I had ever been in a town where the working class was in the saddle. Practically every building of any size had been seized by the workers and was draped with red flags or with the red and black flag of the Anarchists; every wall was scrawled with the hammer and sickle and with the initials of the revolutionary parties; almost every church had been gutted and its images burnt. Churches here and there were being systematically demolished by gangs of workmen. Every shop and cafe had an inscription saying that it had been collectivized; even the bootblacks had been collectivized and their boxes painted red and black. Waiters and shop-walkers looked you in the face and treated you as an equal. Servile and even ceremonial forms of speech had temporarily disappeared. Nobody said ‘Senor’ or ‘Don’ or even ‘Usted’; everyone called everyone else‘Comrade’ and ‘Thou’, and said ‘Salud!’ instead of ‘Buenos dias’. Tipping was forbidden by law; almost my first experience was receiving a lecture from an hotel manager for trying to tip a lift-boy. There were no private motor cars, they had all been commandeered, and all the trams and taxis and much of the other transport were painted red and black. The revolutionary posters were everywhere, flaming from the walls in clean reds and blues that made the few remaining advertisements look like daubs of mud. Down the Ramblas, the wide central artery of the town where crowds of people streamed constantly to and fro, the loud-speakers were bellowing revolutionary songs all day and far into the night. And it was the aspect of the crowds that was the queerest thing of all. In outward appearance it was a town in which the wealthy classes had practically ceased to exist. Except for a small number of women and foreigners there were no ‘well-dressed’ people at all. Practically everyone wore rough working-class clothes, or blue overalls or some variant of the militia uniform. All this was queer and moving. There was much in it that I did not understand, in some ways I did not even like it, but I recognized it immediately as a state of affairs worth fighting for. Also I believed that things were as they appeared, that this was really a workers’ State and that the entire bourgeoisie had either fled, been killed, or voluntarily come over to the workers’ side; I did not realize that great numbers of well-to-do bourgeois were simply lying low and disguising themselves as proletarians for the time being. The city fell on 26th January 1939. Antony Beevor: The Battle for Spain: The Spanish Civil War 1936-1939. The 2006 edition, completely revised with new sections after his access to KGB archives is for me the best introduction to the war, though Hugh Thomas’s Spanish Civil War, is still worth a critical read, Beever’s book contains less battlefield history than his other works, and spends a lot of time looking at the causes of the war and the social changes within it. Paul Preston. 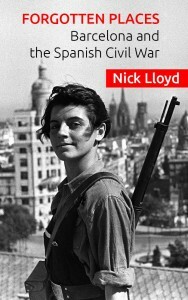 The Spanish Civil War: Reaction, Revolution and Revenge Good introduction. George Orwell. Homage to Catalonia. Still fresh, honest and remarkably close to the current view of events. This is a superb wartime journal much of which takes place in Barcelona. Make sure you read the later edition with the chapters on the different political parties and factions relegated to the appendix. Micheal Eaude. Barcelona The best introduction by far on the modern history of Barcelona. A very entertaining and illuminating read. Chris Ealham Class, Culture and Conflict in Barcelona , 1898-1937. Very well researched (and very expensive!) radical history of the city, with an emphasis on anarchism. I took it out of the library not having that kind of ready cash. His Anarchism and the City: Revolution and Counter-Revolution in Barcelona, 1898-1937 which I haven’t read is a much cheaper option, and looks essentially the same book. Robert Hughes. His seminal Barcelona ends rather disappointingly without much in the way of conclusion in around 1910, but it does provide a good background to the early days of Barcelonan anarchism and its connections with modernism.